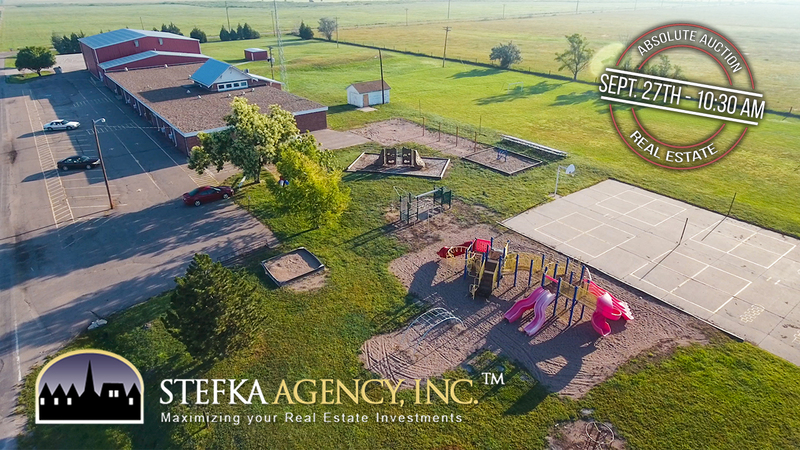 ABSOLUTE REAL ESTATE AUCTION – HALL SCHOOL FACILITY | Commercial Investment Services, Stefka Agency, Inc.
LEGAL: ROSEDALE RANCH INC. SUB. OF W1/2 OF NW1/4 23-14-30 TRACT A 5.24 ACRES. necessary for the purchase of the property must be arranged prior to the date of the auction. The auction of the property will be ABSOLUTE without limit or reservation. Plats and building drawings available. All additional closing documents can be viewed at www.cisnorthplatte.com.